Flame Diamond Pendant. Crafted In Rose Gold And Set 0.8pt Brilliant Cut Diamond. 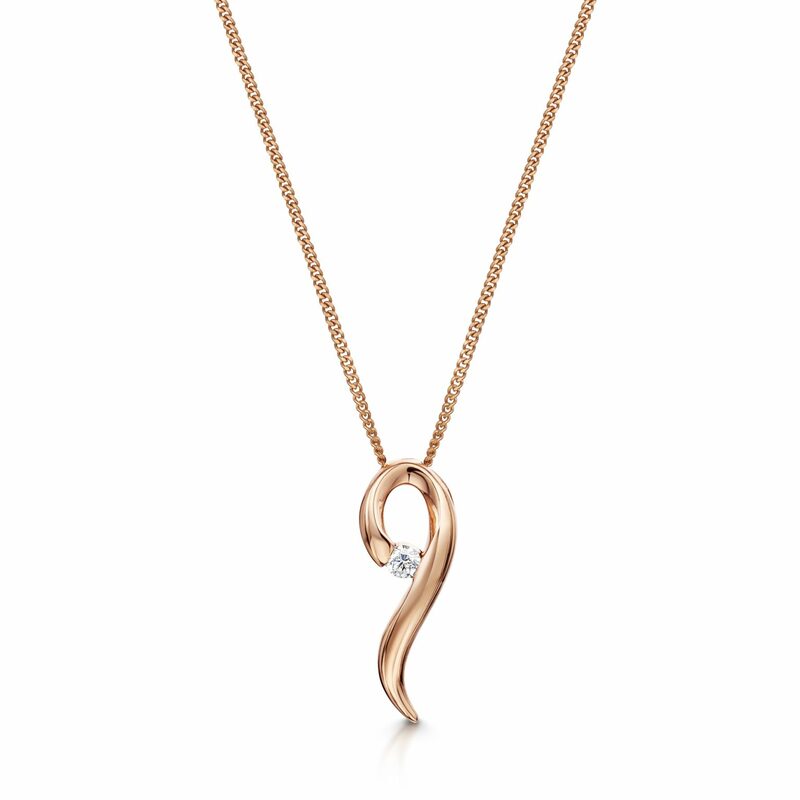 Supplied With An 18″ Rose Gold Chain.